Tour de France winner, Chris Froome (Sky) wants to see Lance Armstrong reveal his doping secrets in the UCI’s investigation. Yesterday, the UCI said that it would want Armstrong to testify in its investigation. BMC Racing’s Alessandro Ballan faces a two-year doping ban, recommended this afternoon by the Italian Olympic Committee (CONI). The 2008 World Champion is tied to the Mantova investigation that centred on his former team, Lampre. The committee said it made its decision based on the Mantova prosecutor’s work. The Italian, according to leaked documents in La Gazzetta dello Sport newspaper, used human growth hormone, blood transfusions and EPO in 2009. The committee also recommenced a lifetime ban from sports for Guido Nigrelli. Nigrelli owns the pharmacy in Mantova, northern Italy, where drugs were allegedly distributed. His assistant Fiorenzo Bonazzi faces a seven-year ban. Recommended suspensions are typically finalised in one to two month’s time. 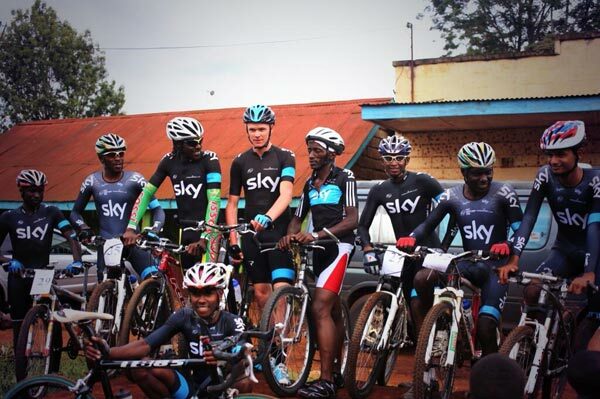 Chris Froome returned to his birthplace and where he started cycling in Kenya. The Brit is there on vacation for two to three weeks before returning to team Sky’s December training camp and the start of the season. Gerry Ryan, owner of team Orica-GreenEdge, became Cycling Australia’s president the body announced on Monday. He succeeded Klaus Mueller, who resigned in August after one and a half years at the helm. Italy continues to be at the front of cycling, this winter with the number of unemployed cyclists: 54. According to newspaper La Gazzetta dello Sport, seven first division riders, 20 second and 27 third are without jobs for 2014. It reported that this a third of the 168 employed in 2013. The Union Cycliste Internationale (UCI) announced that the Vuelta a España was clean this year. On Monday, it said that all the anti-doping tests returned negative results. The Cycling Anti-Doping Foundation, CADF, took 598 blood and urine samples. 200 samples came from pre-competition testing. They freeze the samples and may re-test them as new drugs and anti-doping tests evolve. Spaniard Roberto Heras will officially re-enter the Vuelta a España record books as the 2005 winner. Race director, Javier Guillen said that he accepted a court’s ruling from December 21 last year. Heras, now 39, won his fourth title on September 18 by nearly five minutes over Denis Menchov (Rabobank). Test results 20 days later, however, revealed that he used EPO. Authorities stripped his title, his two stage wins and banned him for two years. He challenged the case and won. In June 2011, a civil court in Castile and León agreed that, despite the positive test, the lab violated procedures. The Spanish federation appealed to Spain’s Supreme Court but lost last December. Heras never raced again after the Vuelta doping case and two-year ban. Spanish investigators named him in the Operación Puerto doping scandal and allegedly, the US Anti-Doping Agency (USADA) marked him as redacted Rider-7 in its investigation.